No car? no worries…There are plenty of exhibitions within walking distance! Let’s start in the convention center itself. 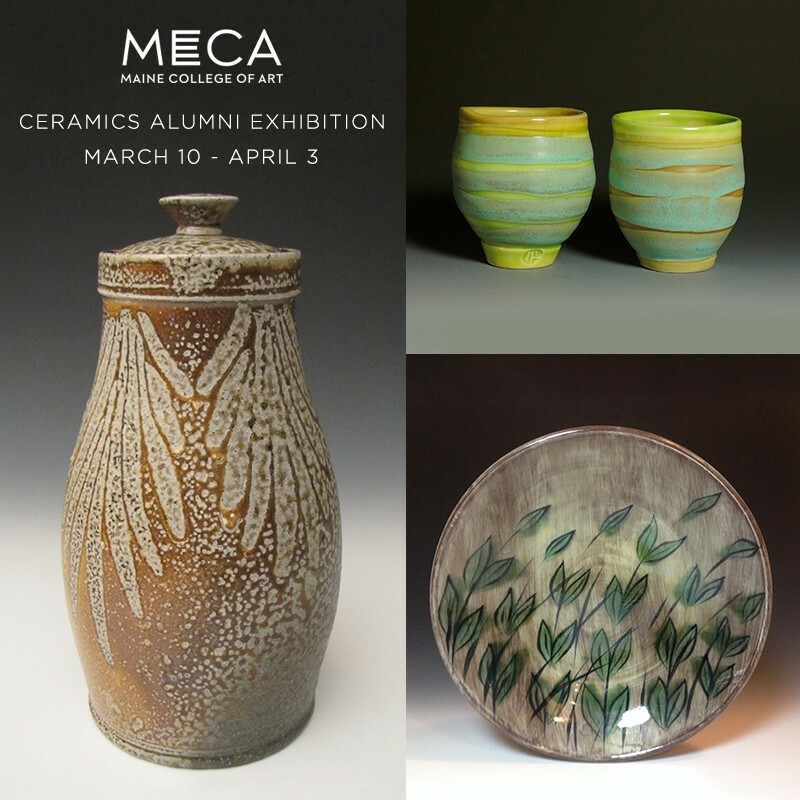 There you will find some of the staples of NCECA such as the NCECA Gallery Expo, the Emerging artists and the K-12 Show, but there’s more, and all close enough that you can walk to it! Bradley Bachmeier, Rebecca Grant, Sarah Gregory, Irene Lawson, Jennifer McCurdy, Lee Middleman, Jessica Putnam-Phillips, Tanya Rudenjak, Nathalie Samson, Lin Xu, and more. Hours during NCECA: Wed-Thu 9am-5pm; 9am-4pm. Mar 25-27. Hayne Bayless, Kathy King, Arthur Halvorsen, Mark Shapiro, Sam Taylor, Hannah Niswonger, Adero Willard plus 100 of our favorite potters. POW! mobile exhibition will feature works by over 100 potters, spanning the range of current functional ceramics. Also included is an ongoing collaboration, The Cup Project, in which members of the public decorate a cup and receive one in exchange. Curated by the core collaborative at POW! including Hannah Niswonger, Adero Willard, and Hayne Bayless. Hours during NCECA: Wed & Thu 10am-6pm; Fri 10am-7pm; Sat 10am-4pm. Reception: Fri, Mar 27, 5-7pm. Mar 25-28. Honoring Harriet Brisson: Ceramicist, Mentor, Friend! A group show of works by more the 30 artists. This mixed media exhibit including works by Harriet Brisson, noted artist, professor and leader in ceramics education with works by former students and colleagues in appreciation for her influence. Hours during NCECA: Mon-Thu 8am-9pm; Fri & Sat 8am-5pm. Reception: Thu, Mar 19, 5-9pm. Mar 2-28. Curated by Avra Leodas, Director Santa Fe Clay and HP Bloomer IV, Studio Manager Santa Fe Clay. Jen Allen, Mary Barringer, Margaret Bohls, Victoria Christen, Sam Chung, Michael Corney, Josh DeWeese, David Eichelberger, Adam Field, Hiroe Hanzono and 140 more artists! 150 artists, 150 place settings! Santa Fe Clay hosts a unique banquet table exhibition of functional pottery made by invited artists from across the US. Hours during NCECA: Wed-Fri 9am-6pm; Sat 9am-2pm. Mar 25-28. Once in the building the exhibit is ADA accessible. There are 2 steps at the entrance to the church and a wheelchair will need to be lifted up these steps. A collaborative installation into a fevered feral dream of initiation, transitional states and new ways of telling the oldest stories featuring ceramics work by Younger and illustrations by Loundy. Hours during NCECA: Tue-Thu 1-6pm; Fri 1-7pm; Sat 12-5pm. Reception: Fri, Mar 27, 5-7pm. Mar 7-28. David Allyn, Xander Marro, Nidal Fakhouri, Muffy Brandt, Joan Wyand, Harrison Bucy, Meredith Stern, Meg Turner, Larry Bush, Priscilla Carrion. In the spirit of the experimental nature of Rhode Island, Providence Prints is an exploration of the rich print making culture of Providence that pairs print makers and ceramic artists. . Organized by Potters for Peace. Joe Bennion, Linda Christianson, Jim Connell, Guillermo Cuellar, Chris Gustin, Warren MacKenzie, Richard Notkin Linda Sikora, Jack Troy, Gerry Williams… & many more North American potters. PFP, established 1986, has improved thousands of traditional potters’ lives. Since 1998, fifty factories in thirty-five countries have produced potable water for 25 million people through PFP’s simple clay filter. Hours during NCECA: Tue-Thu 1-6pm; Fri 1-7pm; Sat 12-5pm. Reception: Fri, Mar 27, 5-7pm. Mar 24-28. Leslie Ferst, Ben Eberle, Courtney Mattison, David Kauffman, Fitzhugh Karol, Geoff Booras, Maggie Dubler, Nick Newcomb, Tim Clark. This exhibition presents the visual dialogues that began among eight students and their undergraduate professor and continued through mentorship and apprenticeship with Toshiko Takaezu and/or graduate school and beyond. 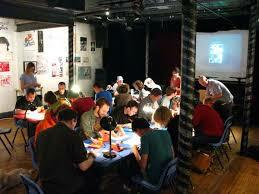 Hours during NCECA: Wed & Thu 5pm-1am; Fri & Sat 5pm-2am. Reception: Fri, Mar 27, 5-8pm. Mar 25-28. Functional and sculptural work by 19 Maine College of Art Alumni as well as the work of faculty members Mark Johnson, Lucy Breslin, Marian Baker and Kari Radasch. This juried exhibition highlights the breadth and excellence of the work of both BFA and MFA alumni from Maine College of Art. . Mar 10-Apr 3. 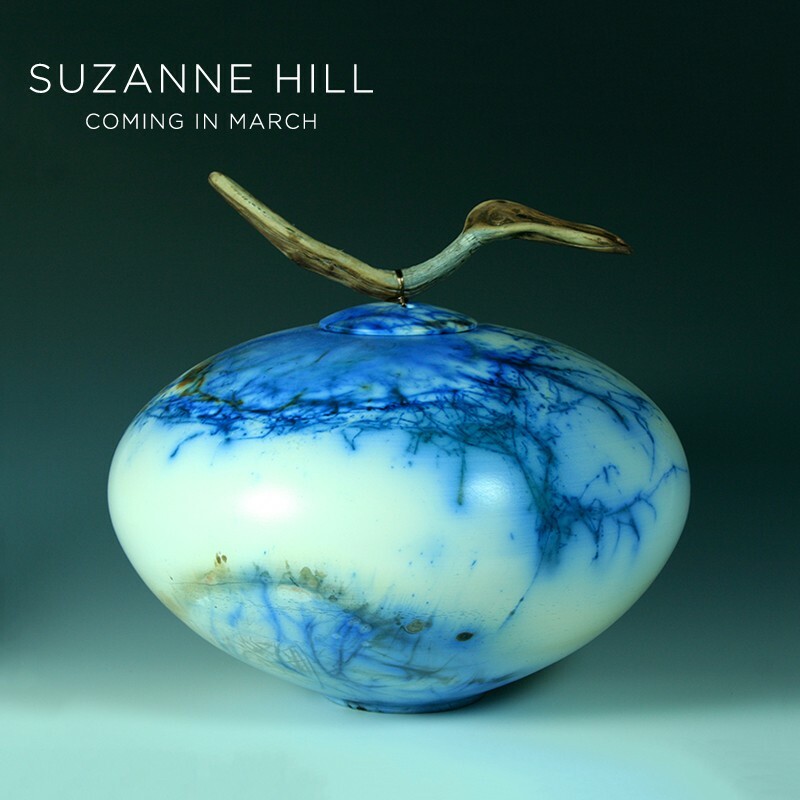 Ceramic Inspirations, Suzanne Hill, Linda Huey, and Jan Jacque. Ceramic Inspirations features artists who explore the natural world through clay. The show will showcase both functional and decorative pieces that go beyond ordinary objects to become works of art. . Mar 22-28. Hours during NCECA: Sun 1-5pm; Mon-Wed 11am-5pm; Thu-Fri 11am-9pm; Sat 11am-5pm. Reception: Fri, Mar 27, 5-9pm. Terra Firma, Ashwini Bhat and Sharbani Das Gupta. The cord between these two distinctly different artistspasses through the common ground beneath their feet, their forms and perceptions articulated in the language of the subtle Earth. Hours during NCECA: Tue-Thu 1-6pm; Fri 1-7pm; Sat 1-5pm. Reception: Fri, Mar 27, 5-7pm. Mar 24-28. World Wildlife Fashion Art (WWFA), Peter Morgan and Adam Hinterlang. This exhibition consists of collaboratively designed tile pieces featuring silhouetted action images of fauna. 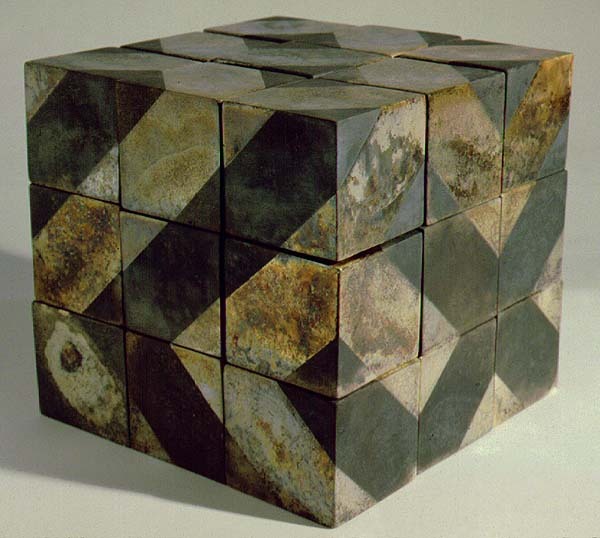 The works will have a focus on material phenomenology, color relationships, and the resulting optical perceptions.. Hours during NCECA: Sun-Tue by appt: contact carpenter186@gmail.com; Wed 11am-3pm; Thu 1:30-3pm; Fri 1:30- 3:30pm; Sat 1:30-4:00pm. Reception: Fri, Mar 27, 7:30-10pm. Mar 23-Apr 24. I see that maps to the exhibitions have been made, because there is a picture of one on this blog…..but still no interactive maps on the website. Could someone at least post the route maps, interactive or not, here or on the website, so those of us who are driving can plot out our own routes based on our tastes? Also, I found this blog by accident from a post on Facebook. It would be a good idea to direct people to it on the main website with a headline. I created a map here so that attendees can get an overview. There will be maps in the printed NCECA guide that you will get in your conference packet, and an interactive map in the NCECA App.